Vegan Burg is a popular option among the vegetarian community of Singapore. Inspired by their love of Planet Earth and promoting a healthier lifestyle, Vegan Burg is the world's first vegan fast food restaurant. 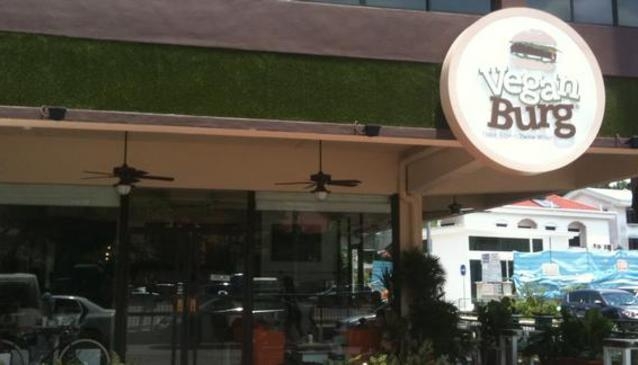 This eatery is 100% vegan as it promotes a true plant based diet made entirely free from dairy. The mission at Veganburg is to inspire and excite the world in introducing vegan diet into their lifestyle, as a form of sustainable diet and means of restoration for our global environment. Veganburg offers 6 types of burgers but also other vegan types of sides and sips. Aside to their 4 outlets in Jalan Eunos, Marina Boulevard, The Grandstand and Golden Shoe, they propose delivery and catering services. Just by choosing to be vegan once a week, you can contribute to Mother Earth in reducing the emission of greenhouse gases. So come and visit!